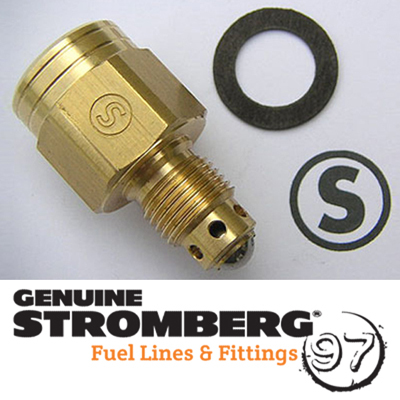 Read fuel pressure at the carb! 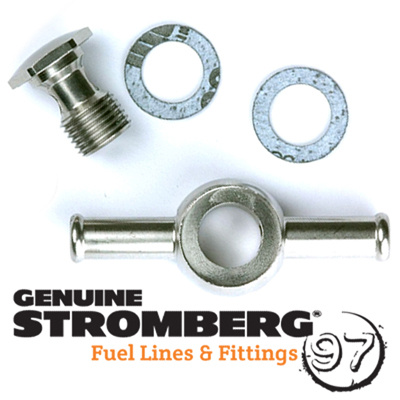 All the benefits of our super-popular double-end banjo fitting, but with an 1/8th NPT hole in the end of the banjo bolt to accept your hot rod fuel pressure gauge. 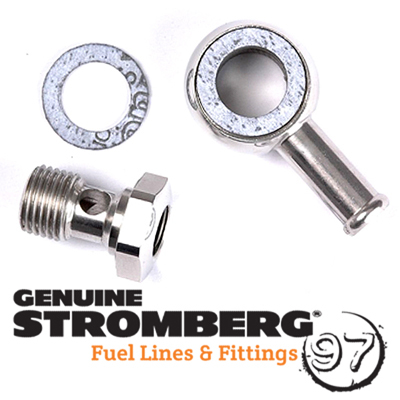 All the more important with Stromberg 97 carburetors because you need to ensure 2.5psi max. 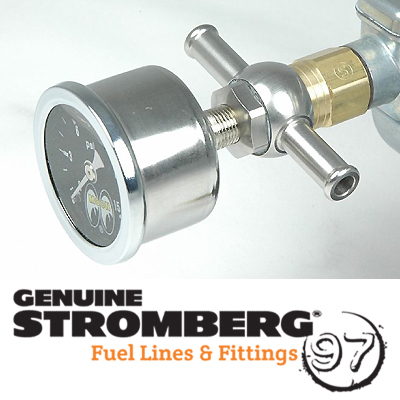 They’re sized to fit both 5/16inch and 3/8inch hose, with plenty of fuel flow guaranteed. 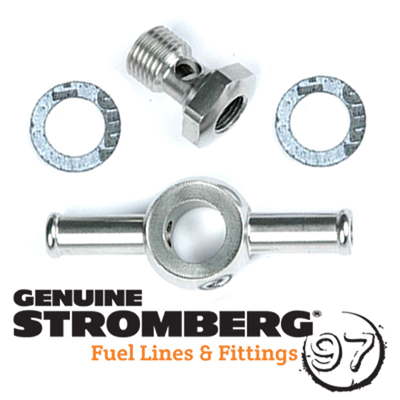 On Ford flathead applications, check for gauge clearance on your top radiator hoses. 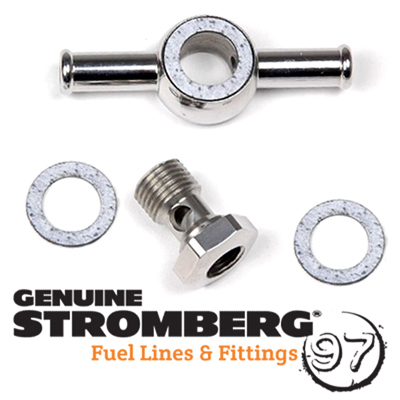 Note: To provide safe clearance with a 3×2 progressive linkage, banjo fittings must be used with our stainless banjo spacers (9086K). Will not provide clearance for progressive linkages on 6×2 systems. All direct linkages clear OK without spacers.